Beyond the usual highlights of Buenos Aires, lies another part of the city that remains unknown and inaccessible to most tourists. We’ll visit the “forgotten” and unknown neighborhoods of Buenos Aires that are far off the typical tourist circuits while delving into the world of secret societies, traditional bars, amazing stories, and gorgeous buildings. 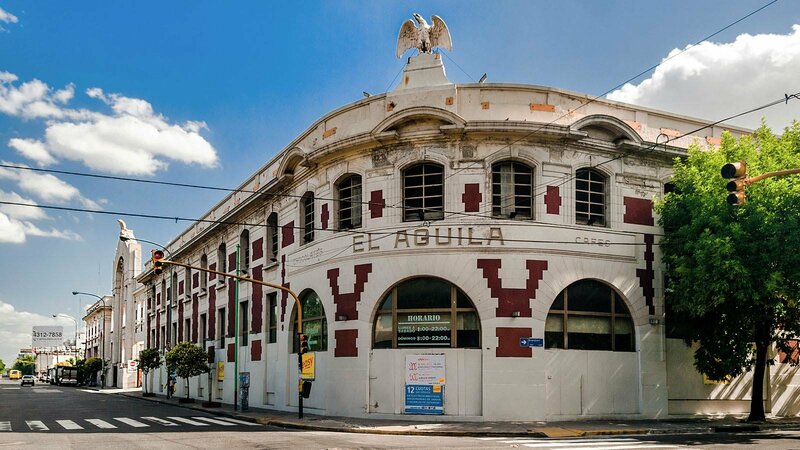 In a cultural journey that grasps both the past and present of the working class sectors of Buenos Aires, this tour rediscovers the important contributions of workers, immigrants, tramways, tango, and soccer in the city’s historical development. 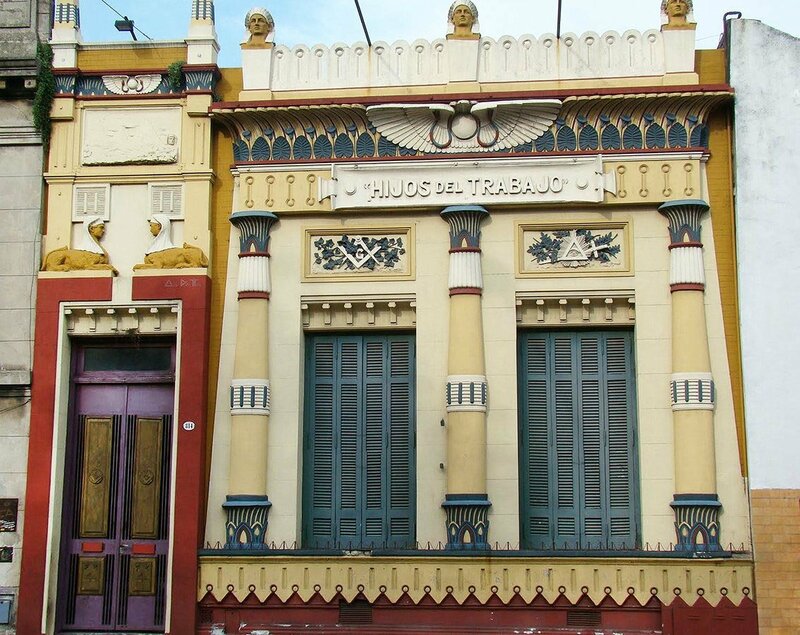 The first stop on our off-the-beaten-path tour of Buenos Aires will be at Masonica Logia House, a meeting place for the freemason society in the city. Freemasonry began in Argentina in 1795 as a new branch of the world’s oldest and largest secular fraternal society. Often referred to as a “secret society,” freemasons learn and promote an ethical approach to life. The secret society has always been shrouded in mystery, and our expert guide has the key knowledge to give you an insight into this mystery! We will then make our way to the working class neighborhood of Barracas, which was once home to some of the wealthiest families in Buenos Aires in the 18th century. However, this dramatically changed in 1871 when the yellow fever swept through the neighborhood, forcing the elite to move out and transforming it into the working class area that it remains today. Next we’ll head to the colourful Lanin Passageway, which is a quiet but visually stunning street that acts as a permanent exhibition of urban art. As you walk down the short and winding passageway, you will see more than 30 fronts of houses covered in bright colors and unique designs. 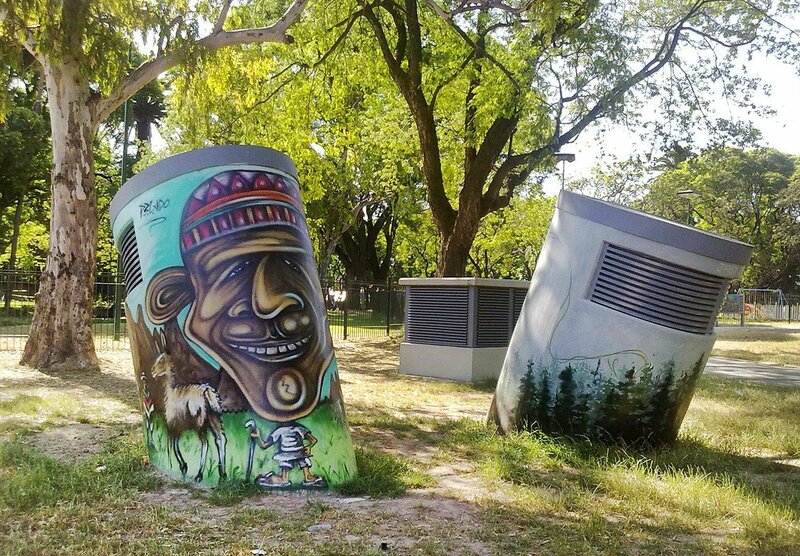 You’ll also see murals created by local artist Marino Santa Maria. Our journey also includes a visit to the Nueva Pompeya district, known as the “cradle of the tango” and a favorite haunt of the notorious tango lyricist Homero Manzi. 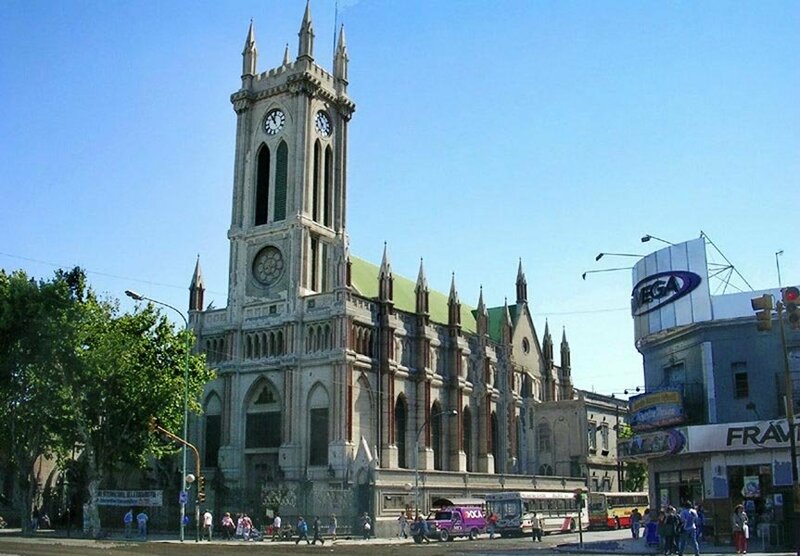 Here we will visit the Church of the Rosary Nueva Pompeya, where you will have the chance to admire its gothic features. 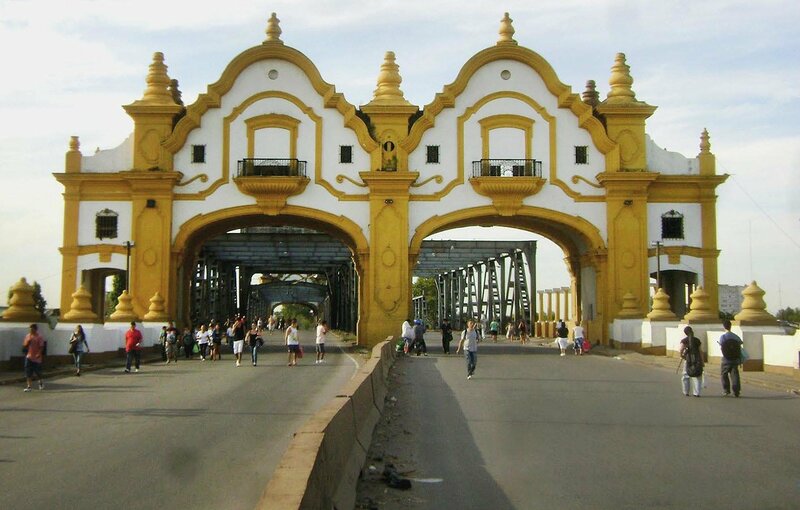 Finally, we’ll head to explore the Boedo Avenue area, where along the way we will pass by the Alsina Bridge, a unique structure that is sure to catch your eye as it is built to look like the façade of a castle! 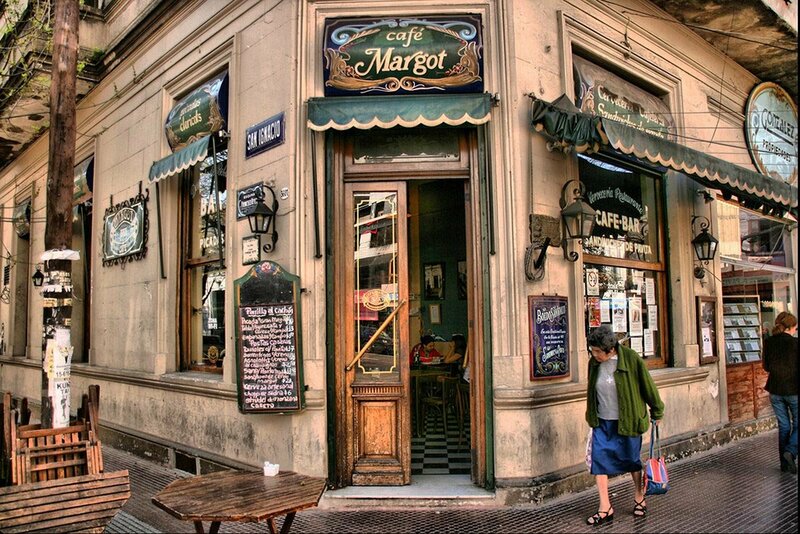 Boedo is home to some of the most emblematic cafes; the dwelling place of important writers and “tangueros” (tango dancers or singers), like the Homero Manzi Café (founded 1927) and the Margot Café (founded in 1904). After your half day blending the past and the present of the usually unknown Buenos Aires, the tour finishes with a transfer back to your hotel. Tour Itinerary: Masonic logia house, Hipólito Yrigoyen Station(1st Stop), Barracas, Lanín passageway (2nd Stop), Florentino Ameghino park, Parque Patricios and Nueva Pompeya districts, Nuestra Sra. de Pompeya Church (3rd Stop), Alsina bridge, Boedo Avenue (4th Stop), Margot and Manzi cafes. Since you’ll be doing this tour with your own private vehicle and guide, you’ll be able to enjoy each attraction at your own pace; making all of the stops you want while enjoying personalized assistance and care from your expert guide. You’ll also enjoy more convenient and faster transfers from and to your hotel, as there will be no other travelers to pick up or drop off at other hotels.